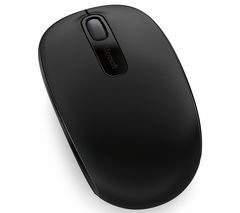 Having a good quality mouse can make working on your PC a dream, and we have a wide variety of smooth scrolling mice available to suit your needs. Our Microsoft mice are all wireless, meaning your desk will stay tidy for a clean look. Whether you’re shopping for your home or your office, having a wireless mouse makes moving around your workstation easy, and especially good for passing between colleagues during shared presentations. 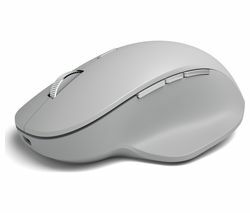 Each Microsoft mouse comes with a minimum of 6 months battery life and a scroll wheel for easy movement. Using a mouse on a table will usually work just fine, but for the best experience possible have a look at our mouse mats, which start at under a fiver. If you’re a PC gamer then you’ll enjoy a Razer gaming mouse mat, with a non-slip material and optimised specifically for laser and optical mice. Our full range of computer accessories has other great buys for your laptop, desktop and tablet. Our smart range of bags and cases ensures you’ll keep your device safe when on the move whilst looking smart too. Our speakers and headphones give you the best sound quality money can buy, perfect for a home entertainment system to bring your movies and games to life. Whether you’re looking for a wireless mouse or a range of accessories, we have the best kit for you.